Under the bright florescent lights of the boxing ring, the boy could barely see out beyond the elastic ropes that surrounded the fighting stage; the crowd and the festival that pressed in around him were shadowy outlines. But the boy could hear them. He could hear the fight’s announcer, saying “Satann Meung. Nine years old. Twenty-two point nine kilograms.” He could hear his trainer, shouting last-minute reminders about the basics of technique. He could the hear excited laughter of other kids his age, who had squeezed their way to the front of the spectators after ditching carnival rides, and balloon dart-throwing games, and fried rice-cake stands to watch his fight. And he could hear the gamblers -- the gamblers who shouted “Two to one – blue!” “Three to one – red!” They were betting on the odds he’d win the fight. The boy knew he had to win the fight. There was the reputation of his gym to uphold, and all the fighters and trainers who had become like family to him. There was the pride of his community to defend, many of whom he knew to be in the crowd. But more than anything, there was money involved. Muay Thai is a tradition kept alive because it is a business. The child boxers are there to bring prize money back to their families. And Chai’s village and trainers, yelling advice and pushing up against the barricades of the ring, did not come just to cheer for him. They came to bet on him. 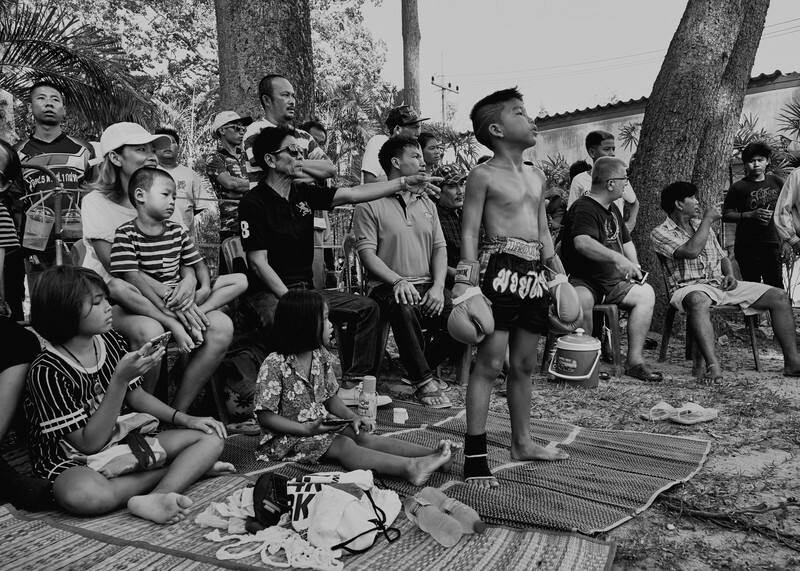 The tradition of child boxing has brought Thailand the ire of tourists and human rights activists, who see the practice as dangerous for the children. 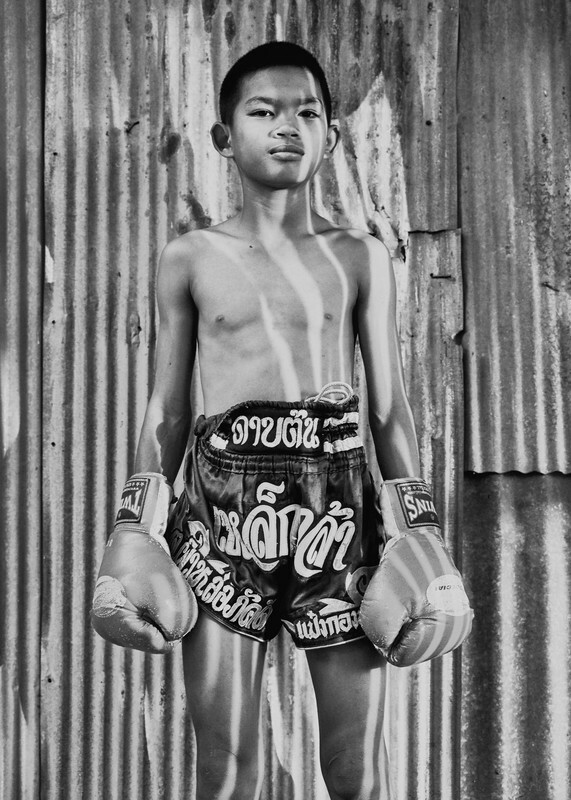 But in Isaan, the North Eastern and poorest region of Thailand, child boxing is a community business. It provides income to families that would otherwise have to rely on their rice paddies, and a way out of poverty for some children with few options. 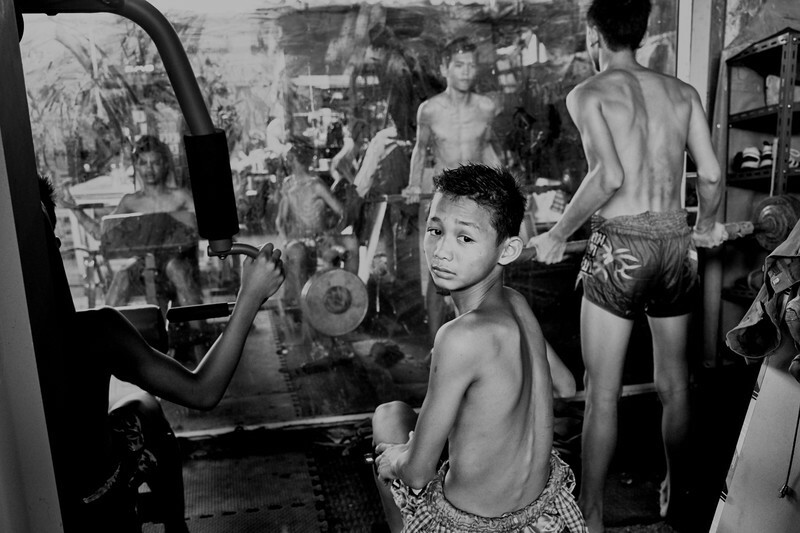 Child boxers can earn as much in a night as their parents can farming rice in a year. And there is always the chance of being discovered by promoters, and achieving fortune in Bangkok. Successful fighters are celebrities in Thailand, and most of them come from Isaan. The noises around the ring multiplied in mounting anticipation. A profusion of drums, symbols, and windpipes started to play. The music was his cue; Sataan began walking serenely along the outer edge of the ring, sliding his left hand along the top of the ropes, which his head barely reached. He paused to bow in each of the ring’s four corners. 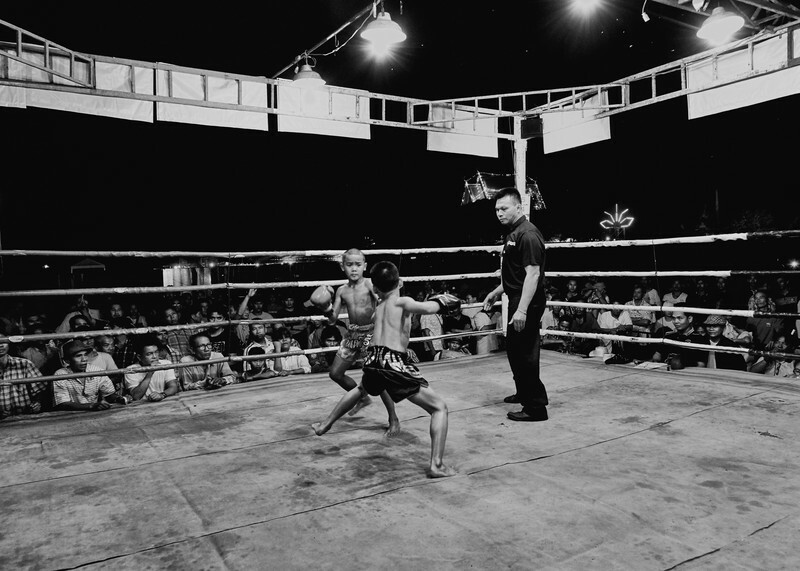 The pre-fight dance is one of the important traditions of Muay Thai boxing in Thailand. Alternatively known as the “art of eight limbs” for a distinct style that uses the knees, elbows, fists, and feet as striking points, Muay Thai has been practiced as an art form and fighting technique in Thailand since the 12th century, dating back to the Khmer Empire’s war with the Burmese. The music and the dance ended. Sataan bowed obediently towards his trainer, and turned towards his opponent. They already knew each other. It was the third time the nine year olds had met in the ring, and the last time Chai had lost. This match was the tie-breaker, and his trainer had bet big that he would win. Sataan had been training for it for weeks. It’s kilometre number eight of ten on his morning run, and Sataan is struggling to keep up with the pace of the older fighters. The three have been training in Muay Thai fighting long enough that the early morning 10K runs are second nature. Not that they have a choice, really. They are compelled forward by the headlights of a silver Toyota pickup truck following behind them. 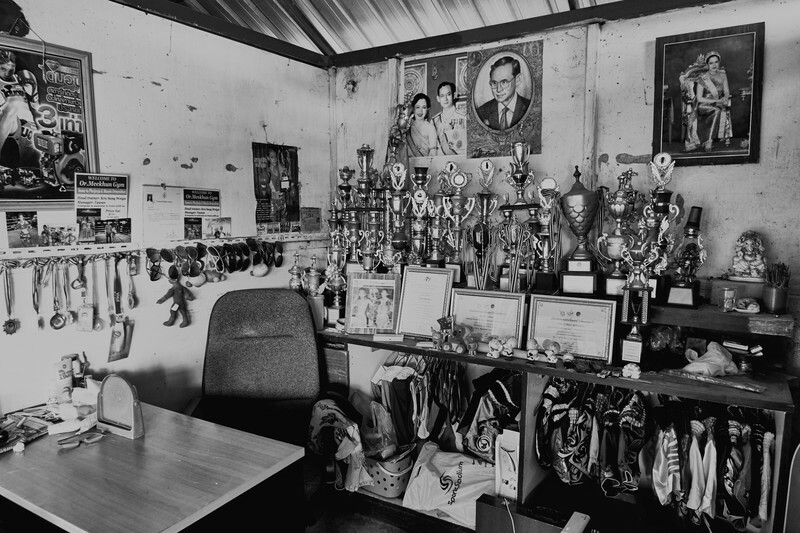 Driving is Sangwean, the owner of the gym that the boys train at in Krabeuang village, about 60 kilometers outside the city of BuriRam. Dawn has just begun, revealing pancake flat plains that extend to the horizon line in every direction. There is nothing to interrupt the monotonous flatness except for the occasional clump of trees and buildings of scattered villages. The world seems an endless expanse of rice paddies. The business of rice is all some villagers in Isaan know. It is humble work, and for a long time agriculture was the only work available in Isaan. That was a time when many saw boxing as the only way out. 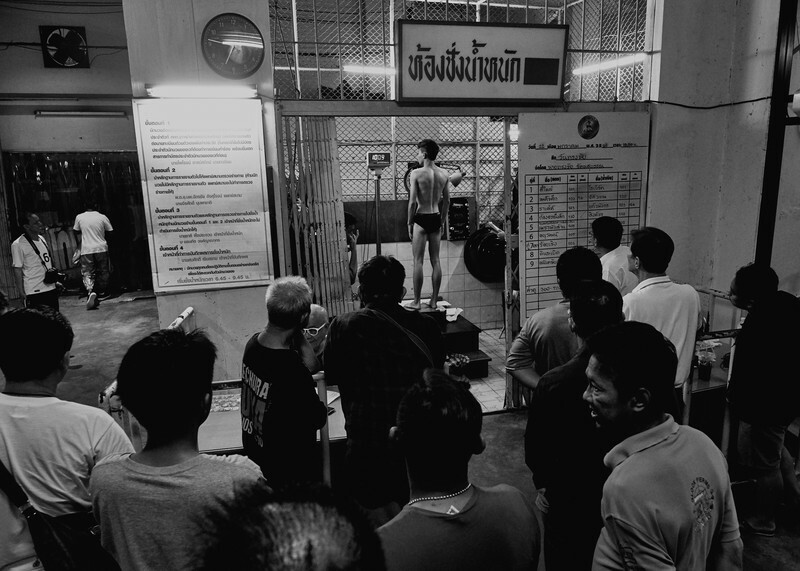 But as the Thai economy has boomed, more opportunity has come; much has changed since the older generation was boxing in the rings of the village temple festivals thirty years ago. More kids are going to universities, or moving to Bangkok, or getting grants to go abroad, or starting regional businesses in medicine and education. It is a different world from the one earlier generations grew up in. Six years ago, Sataan would have been running on dirt. Now he was training on an immaculately smooth highway. 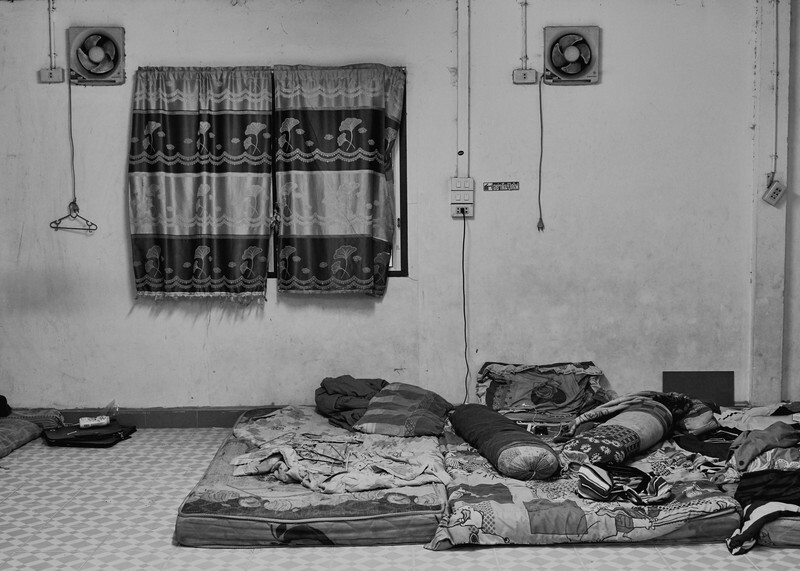 He was training because the boom has yet to trickle down to Thailand’s poorest. Muay Thai is still a way out for many farmers. If Sataan were not training, he would be in the rice paddies. After a quick breakfast of soft-boiled eggs, stirred and chugged Rocky style out of clear glass cup, Sataan joins the other boys at the punching bags. One boy is practicing knee strikes on a worn out punching bag that looks like it’s about to split at the seams. Ya! He yells with each blow. Ya! Ya! He’s practicing attacking in the clutch, a critical part of Muay Thai fighting. Opponents hold each other by the neck and jostle for position to land hard knees into each other’s abdomen. It’s an effective way to score points and wind your opponent as you prepare him for a knock out. One of the boys has been fighting since the age of twelve in order to build his parents a new house. The project is a literal measurement of his success. So far, his fights have financed the construction of the supporting beams and roof, but the house is still awaiting its walls, floors, and everything that will go inside. He hopes he will win enough to complete the house within the next two to three years. In order to do that, he has to start winning more, faster. Every rural fight and temple festival might have the ticket to a Bangkok invitational somewhere in the crowds—and that’s where you start making real money. The promoters are watching. 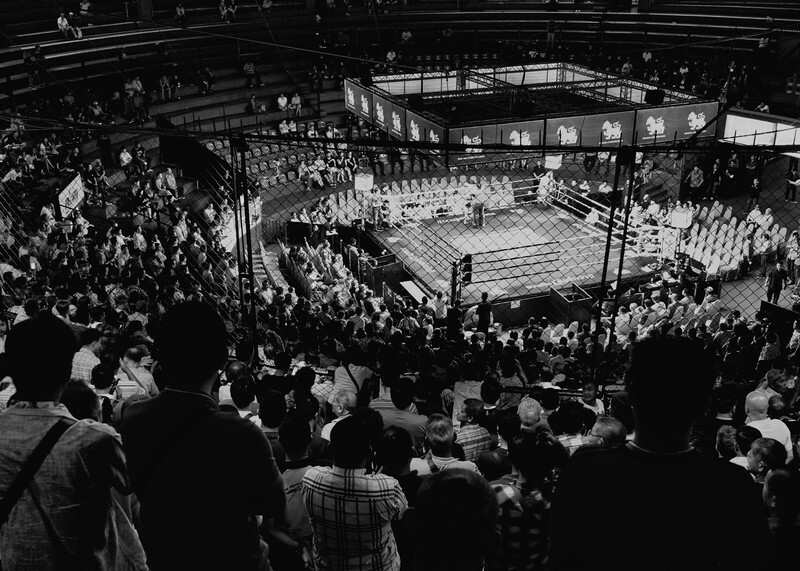 It’s only one step from the invitationals to Lumphini or Rajadamnern, the acropolis of Muay Thai, where the teeming masses of the capital start putting big money on the table and the crowd roars with real fervor and the television cameras roll. The dreams of going pro are getting close enough that they seem tangible, graspable to him. It’s his best shot to become a professional fighter, where he can make up to $40,000 a year. If he makes it internationally, he can triple that. But it's a long road to profitability from prize fights. The purse at junior fights, such as Sataan’s, might be as little as 500 baht. Until they reach the high levels of competition, the fighters are dependent on their trainers for financial stability. The money in Muay Thai comes from the betting, and that is a risky enterprise. In a sport that’s more about the gambling than the show, inside knowledge on fighters means better odds and more money. 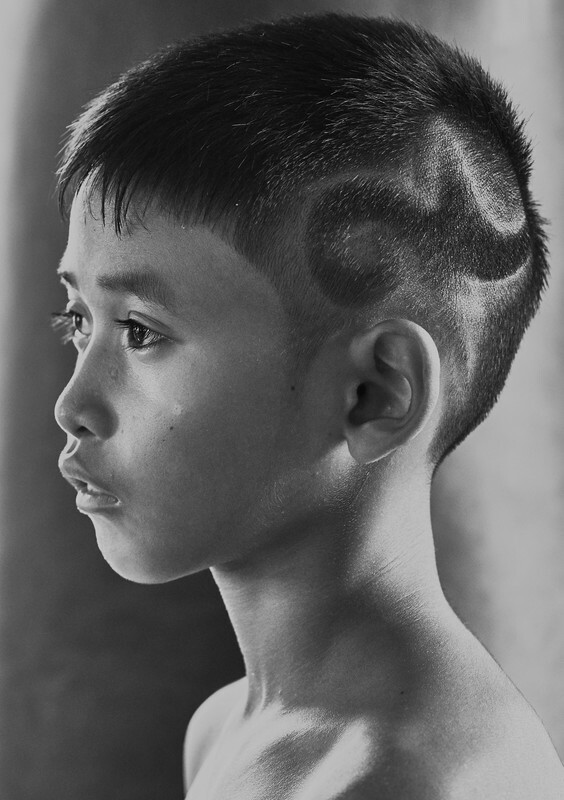 Even for the matches between the youngest fighters – seven and eight year olds -- huge amounts of cash can trade hands. While some bets are as low as 100 baht ($3.50), they can soar to 50,000 ($1700) baht or more. The betting is a chaotic and unorganized process. There are no official bookies setting odds and taking money. Instead, individuals bet against each other, setting the odds with a system of complicated hand signals that are exchanged. In practice, the betting is often centred around a few “professionals”, gamblers that travel from festival to festival and set many different bets at once. They sit on high stools and call out odds throughout the fight, which change on the fly depending on how the fight is going. Bets are set and reset all throughout the fight, with a flurry of betting happening between each round. Betting is not restricted to merely guessing the outcome of the fight. Wagers are placed on who will win particular rounds, and whether the fight will be won by knockout or points. Good gamblers will place several bets within a fight to hedge their odds. The fighter’s trainers, and the fighter’s families, are among the most high stakes betters in the crowd. Local festivals can give as little as a 1000 baht in prize money, and a well-placed bet can bring in far more than that. The betting is how the families and the trainers support themselves. In tight knit communities, neighbors, relatives, and friends will all come out and support their hometown fighters. That was the case with Bpeat Watthanaya, who would attract half their village to the fight. The pressure was intense. Losing a fight didn’t just mean they lost their prize money. It meant that they lost the money they bet on themselves, and that their entire village lost money too. If they won, then those who had bet on them would give them tips for encouragement, anywhere between 50 and 200 bhat—the tips added up to good money. Every fight was a high-stakes game. They would either become a hero or a disappointment. No fighter wanted to drain the village of its spending money. Six more kids have joined the resident crew, two over twelve and the rest little boys, for afternoon training. Three trainers have come too, all ex-fighters and volunteers. The fighters start to warm up with drills. A few kids are already in the ring, fighting the trainers. The trainers wear pads on their shins and forearms, and around their waist, playfully taunting the young fighters with small high pitched noises (something like oooohweee!) to which the boys respond with strikes and their own high pitched snarls. Some of the stronger fighters get more individual training in these sessions than anyone else. They bring in the most money because the prizes for older and heavier fighters tend to be much larger. There is also the fear factor, a serious motivator in training. They are strong and fit, but their opponents are as strong and fit as them. Every fight at their level could be a career ender; they must receive and deliver the blows just so, by instinct, to avoid injury. The sound of a kick from one of these fighters makes one wonder just how much force bone and cartilage can bear. One of the boy’s parents are watching him train from plastic lawn chairs set up on the side of the gym. They come from their village, three kilometers away, to see him every night. They’re not worried about the physical danger, at least not publicly. It seems less dangerous to them than the drugs and gangs that are rampant throughout the region, filled with idle youth. Their time with him at training is the only real family time they get to spend with him. They have sacrificed their son to Muay Thai, with the dream of seeing him go pro and lifting the family out of the circle of poverty being a small plot rice farmer entails. He is beginning to succeed. Two nights ago, he netted a prize of 18,000 baht (590 USD). This is a fortune to a family whose rice paddies bring in only 25,000 baht when the rains are favourable. The referee slices the air with his hand, and the bell rings with a single tap. The two boys bounce around for thirty seconds, getting the feel of each other with jabs and forward toe kicks. Neither throws anything with power. Then Sataan decides to charge. A jab and a missed punch! A lean in for the clinch! The two fighters are flailing about the ring, bodies twisting around each other as they try to open up the other’s abdomen for the knee. Chai lands a few, his opponent lands a few. The crowd roars—the fight is active and well matched. The gamblers in the neutral corners are shouting, hand signals are flashing, and the bet volume starts to really go up. Sataan’s opponent lands several knees, and shouting from the corners gets louder. Sataan sees that he is in a compromising position, and hugs his opponent closer so there’s no more room for him to move. The referee runs in to break up the clinch, pushing the boys apart at arm’s length. Ding! The round is over. The trainers are in the ring almost before the bell stops vibrating. They put down a big metal plate with a stool on top of it. Two take care of Sataan. They pour water on him, massage his legs, stretch his arms and ligaments. A third yells strategy. Sataan is calm and passive, nodding at his trainer. Another hand slice. Round 2. This time there is no hesitation. The young boys go straight for each other, looking for an opening. Neither dances. Sataan’s opponent goes in hard for some punches, but Sataan dodges them. It’s his opportunity; he comes in with his own attack. Left! hard right! His opponent reels, drops his guard. Sataan swings his right shin into his jaw. The kid is out cold, dropping like a sack of produce. A few of his teeth are on the canvas. Trainers swarm the ring. The ref raises Sataan’s arm and swings him around victoriously, and half the crowd goes wild with cheers. But only a few bother to watch long enough to see the small boy being led away from the ring. Most are already busy looking for their betting mates.